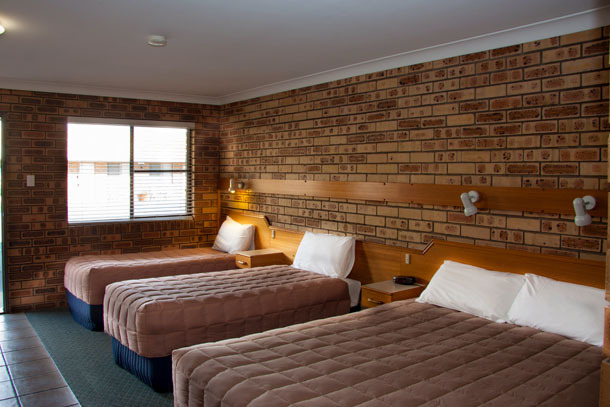 This room has a comfortable queen bed ensuite bathroom with shower, air conditioning, flat screen TV, free wireless internet, telephone, fridge, tea and coffee making facilities and a toaster. The room also has a comfortable 2 seater lounge. 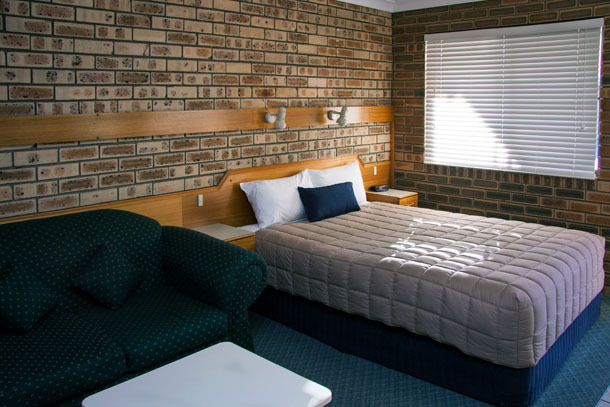 The room caters for 2 people and is clean, comfortable and spacious. This room has a comfortable queen bed 1 single bed ensuite bathroom with shower, air conditioning, flat screen TV, free wireless internet, telephone, fridge, tea and coffee making facilities and a toaster. The room also has a comfortable 2 seater lounge (sofa bed). 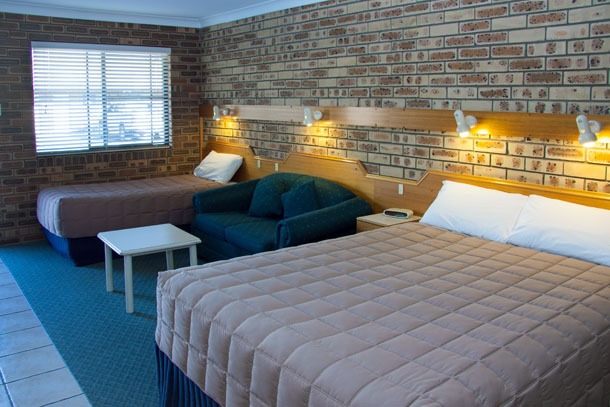 The room caters for up to 3 people and is clean, comfortable and spacious. This room has a comfortable queen bed 2 single beds ensuite bathroom with shower, air conditioning, flat screen TV, free wireless internet, telephone, fridge, tea and coffee making facilities and a toaster. The room caters for 4 people and is clean, comfortable and spacious. Family unit is a two bedroom unit with a comfortable queen bed in one room and 2 singles beds in the other. Ensuite bathroom with shower, air conditioning, flat screen TV, free wireless internet, fridge, tea and coffee making facilities and a toaster. This room has a comfortable lounge (sofa bed). 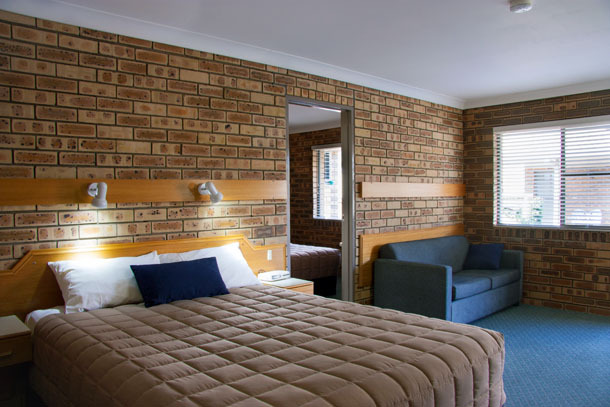 The room is clean, comfortable and spacious and will cater for 4-6 people.